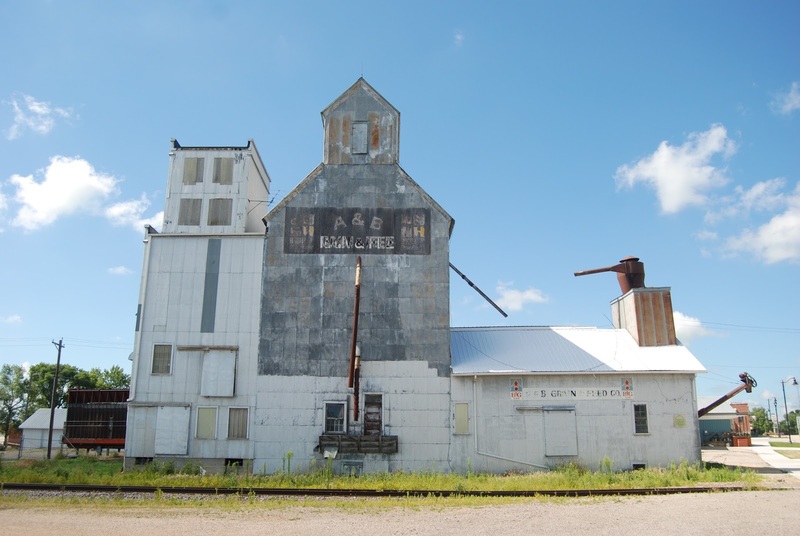 Grain elevators in America continue to grow larger while quaint and seemingly small elevator / feed mill combinations which often times served as the hub of rural communities fall into a state of disrepair or vanish all together. This one, found in Gaylord, MN, appears to fit into the "state of disrepair" category. Its location alongside a rail line is beneficial but its location offers no room for expansion and with today's steel grain bins which are often times the height of small skyscrapers, an elevator such as this one sadly has no place in modern agriculture. I love the "Country Roads" series, and I love this site. I live just down highway 169 in Tulsa, OK and on days when my longing to be back in Minnesota is too much to bear, I turn to this website. Thank you to everyone who has pictures on here, and to whoever runs it, it is very much appreciated on so many levels. I love this series and this website. Hi Eddie, thanks for the comment love! I've been featuring a handful on my own photos from the "Country Roads" series which is truly fun to do and gets me out exposing the backroads and rural areas of Minnesota. I've never been to Oklahoma but the open spaces of it are intriguing to me and I assume very photogenic. I'm only a few miles from 169 myself!